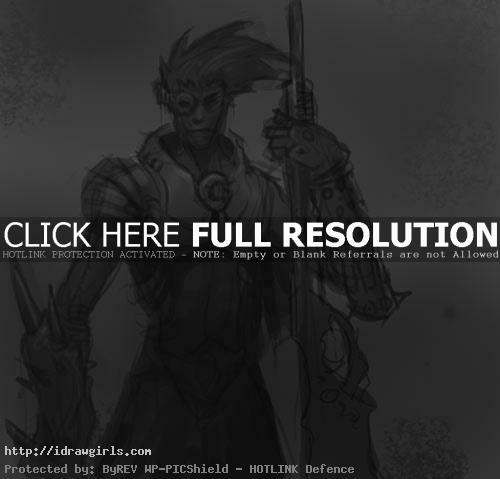 How to draw witch hunter character sketch. This tutorial is basically a rough character idea for a new character design, but it didn’t go as far as finish. I was just having an idea about a character in the futuristic setting where witches everywhere and try to take over the world. So this is not a typical medieval knight witch hunted. But instead it is a take on a character in sci-fi setting which I did not further develop the concept so it will just stay as sketch. Here is a final character sketch of witch hunter. 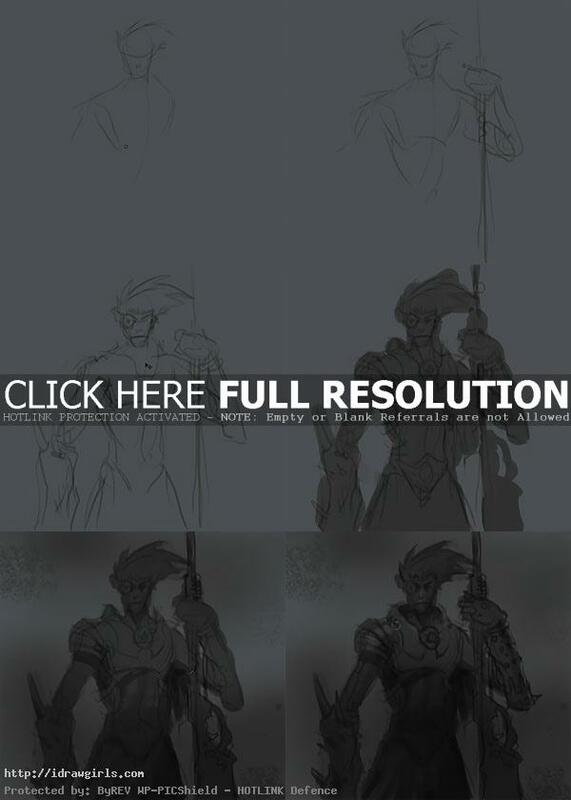 Watch the video tutorial how to draw witch hunter. Below are step by step drawing of witch hunter. Step one, I first start drawing his head shape and shoulder. Step two, I then add his left arm along with his weapon. Step three, I finish rough sketch of his whole body. Also I add his one eye patch and huge right gauntlet design. Step four, now I fill the whole body with medium gray. Step five, I add some basic shadow all along his figure and armor. Step six, the last part is adding some lighting with light gray to white. Watch the video tutorial for more detail on drawing instruction.